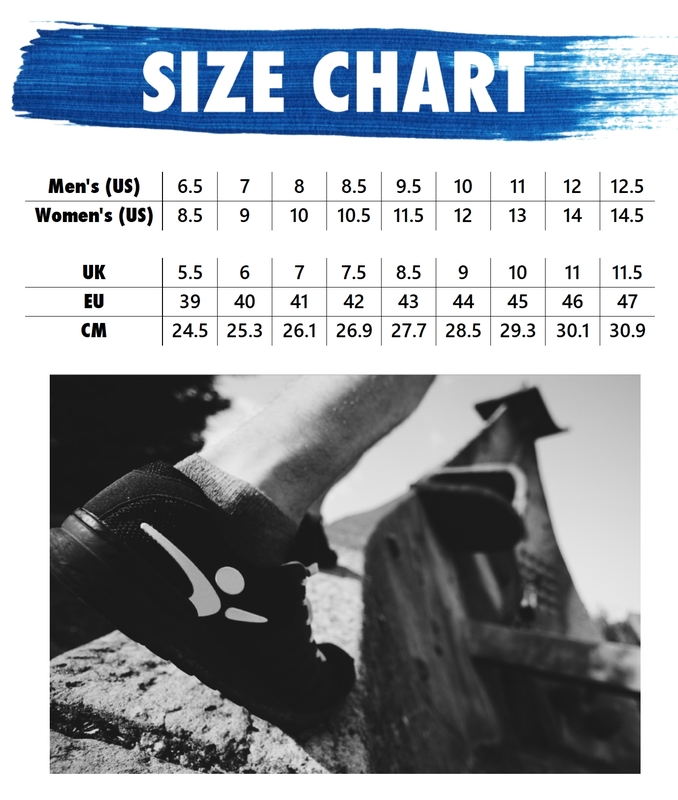 Take Flight 1.0 Parkour Shoe - Black | Take Flight - The Official Clothing of Parkour. Endorsed and Worn by Traceurs Worldwide. Shoes ship in 2-3 business days. 100% Satisfaction Guaranteed! We spent almost 2 full years developing this shoe, and we've designed it to be the best Parkour shoe on the planet. We think you are going to be thrilled with it the first time you put it on. The Take Flight 1.0 has incredible cushioning, great transitioning, and the best traction you’ve ever felt on a Parkour shoe or any all purpose training shoe from any brand. As you’ll see the first time you wear it, the Take Flight 1.0 is truly something special. We stand behind the product so much that If you don’t like it, we’ll give you a 100% no questions asked refund. Designed with input from: David Belle. D'Ondrai Jones, Joey Adrian, Danee Marmolejo, the Tapp Bros.